When it&apos;s required to upload some file in order to complete a flow and test it. When you want to validate that only specific types of file can be uploaded. CloudQA supports uploading files. Our test recorder cannot capture your files. 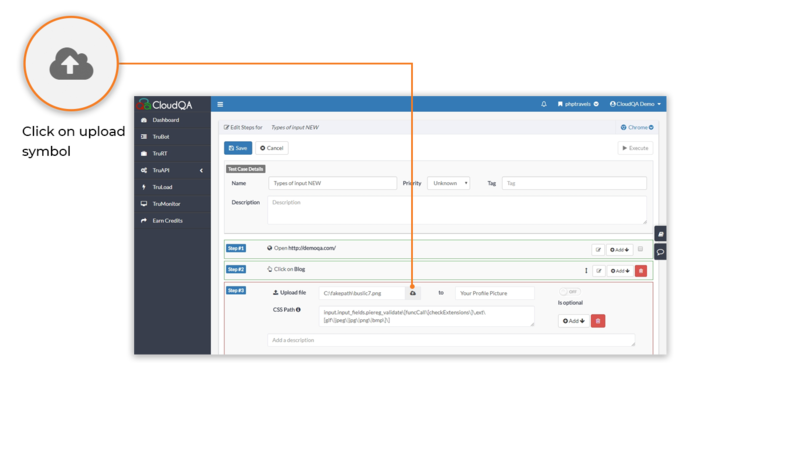 However, we can detect the upload and give you the option to specify the file within the CloudQA application - Edit steps. How to edit a File upload step? 2. In edit test steps, find the step that uploads the file and click on upload symbol. 3. Browse and upload a file from the local system and save the test case.